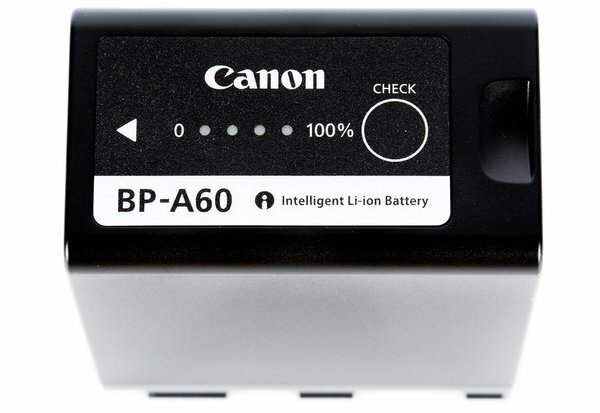 The Canon BP-A60 Battery Pack for C200 & C300 Mark II gives you double the battery life of the included battery with the C200 & C300 Mark II. We expect these batteries to last about 4-5 hours shooting realistically on the C300 Mark II. A handy smart LED gauge on the back of the battery allows you to check remaining capacity without placing the battery on a camera.